Looking to seat a crowd at your next event? Our chairs are sturdy, reliable and come in black or white. These top of the line folding chairs can be used for both indoor and outdoor events. Every order includes complete delivery and pick-up. Set up and disassembly are available at additional per hour labor . We accept all major credit cards and cheques. We also offer promotions for trade shows, festivals, social event and much much more. Please browse our selection of chairs and we are sure you will find the perfect chair for your event! Our Professional Staff will do all the heavy lifting! Add our reliable wedding style resin chair to your event to give it that extra spark. The resin chair is an attractive seating option that is very affordable so you don’t have to break the bank to get an extravagant look. The chairs are easy to set-up and take-down and they stack together easily to be stored away. Along with being easy to clean and stain resistant, they are also weather-proof and won’t yellow with age. The resin chair is an attractive seating option that is very affordable so you don’t have to break the bank to get a real outdoor feel. Along with being easy to clean and stain resistant, they are also weather-proof. Casuallly add a touch of elegance to your event today. Chiavari chairs have become one of the world’s most popular seats for special events and occasions ranging from weddings, to high profile entertainment events. 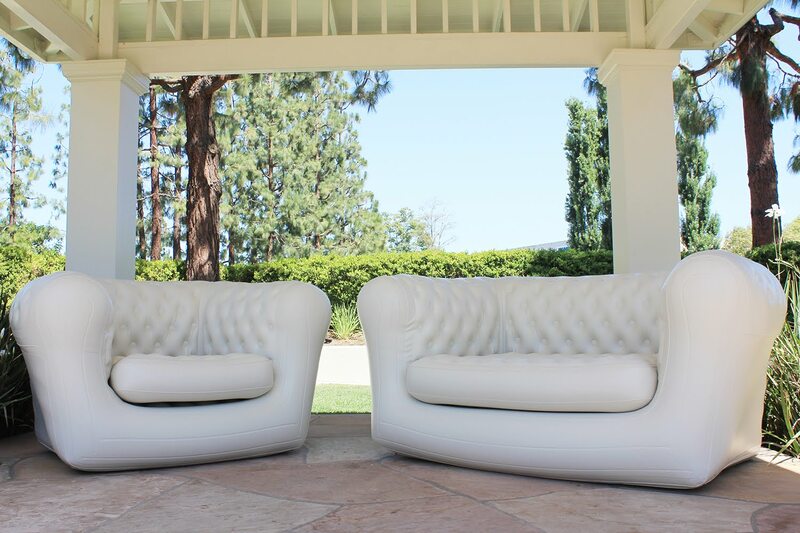 From festivals and concerts to classy weddings, These sofa's will set and unforgettable mood that everyone will love.. It is ideal for indoor or outdoor use so you can use it for any event. It can be quickly assembled in just 5 minutes . Fast setup in under 5 minutes – all you need is a pump and you’re ready to go.